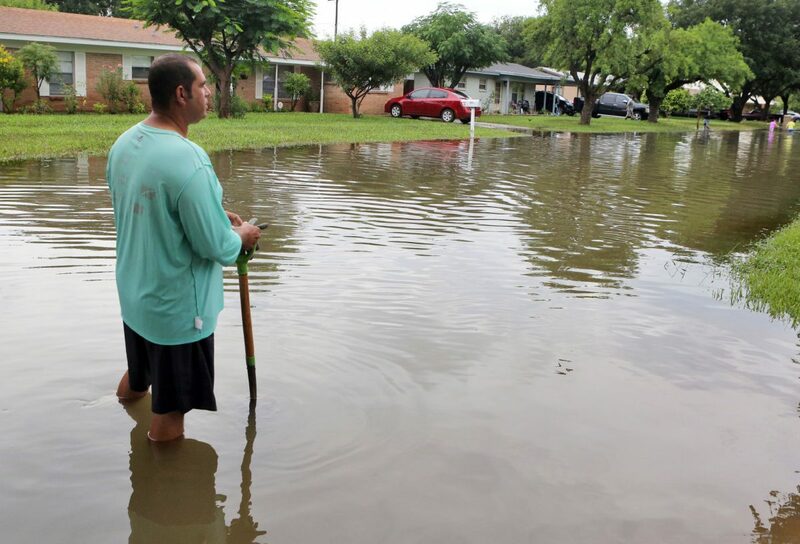 Rudolph Hilbert looks out onto Whitewing Avenue after use a shovel to clear the storm drains near his home after heavy rains caused water to rise and flood whole neighborhoods on Thursday, June 21, 2018, in McAllen. Two weeks after rain and flooding damaged cities across the Rio Grande Valley, McAllen is hosting a “recovery efforts and information” session for the public Thursday. The open meeting for McAllen residents will be held at 5:30 p.m. Thursday at the Las Palmas Community Center. City staff will be on hand to provide information and answer questions regarding factors that contributed to the flooding and to inform the public of resources available to assist people.